By E.J. Schultz . Published on April 01, 2014. 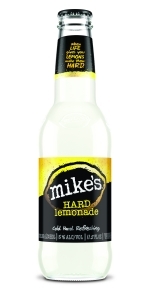 Since launching 15 years ago today, Mike's Hard Lemonade has survived through booms and busts in the flavored-malt-beverage category, fending off competition from the likes of Diageo and Anheuser-Busch. But as the category enters another boom phase, Mike's might be in for its biggest challenge yet. So-called FMBs are growing again at impressive rates thanks to demand from flavor-seeking millennial drinkers. 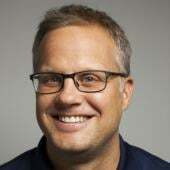 That means Mike's must fight harder to keep -- and grow -- its share as big brewers again flood the market with fruity and tangy brands, including A-B InBev's rapidly expanding Bud Light Lime margarita-inspired franchise. As it responds, Mike's is making significant changes, including moving off TV to an all-digital approach. That is a notable change for a marketer that in 2012 and 2013 spent a combined $18.9 million on TV ads, according to Kantar Media. Digital offers an ability to "reach consumers more frequently through more targeted messaging and at different moments of truth for them," said Sanjiv Gajiwala, Mike's director of marketing activation. Even as it goes dark on TV, Mike's will spend more overall, doubling last year's paid media investment, he said. Digital ad buys include Woven, Vevo, Buzzfeed, Discovery, the Weather Company, Onion and Complex Media. According to Kantar, Mike's spent $6.5 million on measured media in 2013, down from $13.5 million in 2012. 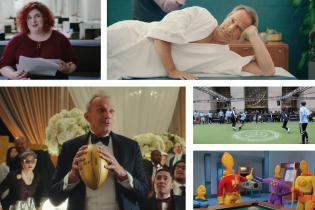 Mike's has also parted ways with WPP's Grey New York, which handled last year's TV campaign, called "Never Not a Good Time." The effort, which included an ad starring actor Martin Landau, was designed to push the drink as suitable for many occasions beyond outdoor drinking, its traditional sweet spot. Mike's will now dole out work to agencies on a project basis, Mr. Gajiwala said. 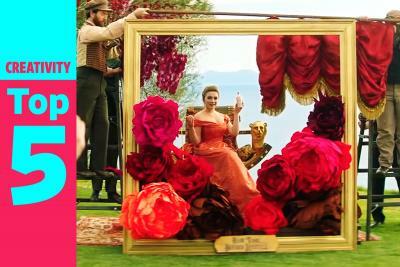 One of the first ads out of the gate (above) is a digital video by Chicago-based independent agency Tris3ct. The spot is meant to mark the brand's 15th anniversary while pushing Mike's as a flavorful brand that "fuels fun times." Mike's has also revamped its packaging, including putting more emphasis on the word "Mike's." 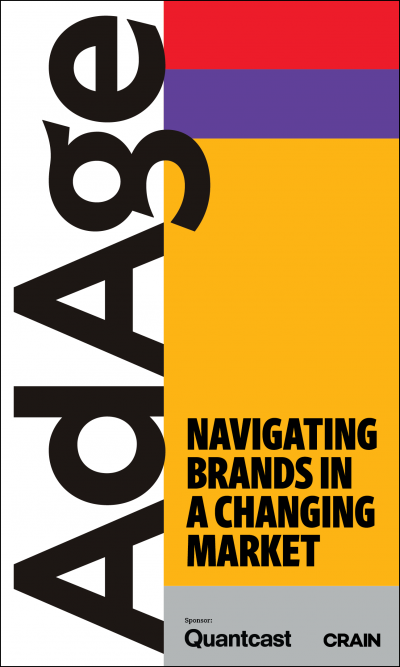 The move is meant to exemplify the "first-name basis" consumers have with the brand, according to the marketer. But it also reflects the fact that Mike's has increasingly evolved beyond its original lemon identity. 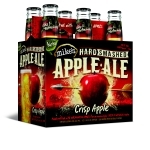 The brand now comes in 14 flavors and has entered new segments, such as apple ale. But Mike's stiffest competition is coming from the Bud Light Lime brand family, which is continually offering new flavors such as Mang-O-Rita and Raz-Ber-Rita. The brand grew sales by 192% in the 52-weeks ending Jan. 26 and is now the leading player in the FMB category with 28.33% share and $472.9 million in sales, according to IRI, which excludes bars and restaraunts. By contrast, sales of Mike's fell by 1.63% in the period and the brand is now No. 2 in the category at 23.41% share, according to IRI. Mr. Gajiwala disputed those figures, saying that IRI undersamples stores where Mike's does well. The brand says it shipped a record 20 million cases in 2013 and is targeting double-digit sales growth this year. But "with all the competition that they are facing, their double-digit growth objective appears to be a challenge," said Benj Steinman, president of trade publication Beer Marketer's Insights, noting that the competition is still ramping up. 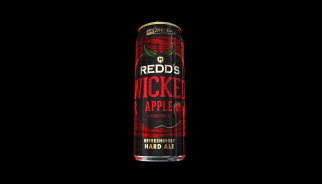 For instance, MillerCoors' Redd's is coming out with Redd's Wicked Apple, which at 8% alcohol-by-volume packs more punch than regular Redd's (5%). Mike's since 2009 has offered its own higher-alcohol version called Mike's Harder, also at 8% ABV. Mike's welcomes the competition, Mr. Gajiwala said. "Anything that encourages consumers to try and consider the malt beverage segment is great for us," he said. He pointed to earlier flavored malt-beverage booms, including one shortly after Mike's launched 15 years ago. At that time, a wave of alternative malt beverages hit shelves, including Skyy Blue, from Miller Brewing Co. and Skyy Vodka, and Captain Morgan Gold by Diageo. "We persevered through that time and we continue to grow every year," he said. This year's plan includes more new products. For example, the Harder line is being extended with seasonal flavors, including Blood Orange this spring and Mango Lemonade in the summer. Mike's partnered with Onion Labs, the branded content division of The Onion, for the package design. The brand is running a consumer contest to design the can for the fall seasonal, Cinnamon Apple. Ads for Harder will run on theonion.com, as well as YouTube and music sites including Vevo. 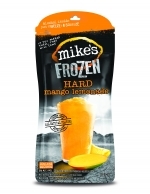 Meanwhile, Mike's is growing its line of frozen pouches that debuted last year. The newest flavor is Mango Lemonade. The goal, Mr. Gajiwala said, is fewer but bigger planned innovations, "but at the same time be nimble enough that we can respond to consumer tastes."